The new Garmin S3 Approach GPS watch combines the powers of traditional golf GPS devices into a tough, wearable little package.This one small gadget can greatly improve your golf game in five easy steps. Step 1 be able to hit a golf ball. This sounds silly and simplistic but it is literally the most important step needed for this device to work properly as a golf GPS. You have to have some feel for how far you hit each of your clubs for the Garmin S3 to be of any use to your improvement on the course, otherwise you are just wearing it for show and tell. So get your striking down at the range before investing. 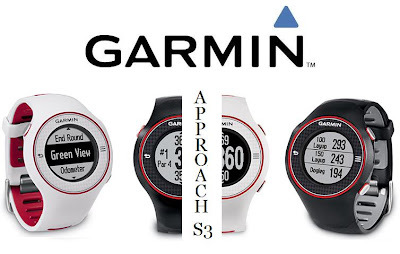 Step 2 Buy the Garmin Approach S3. Some would say this is the easiest step but it's not. Mainly because the device has not been released yet. So you may have to hold off on this step for about 3-5 weeks when it is released to the masses. Step 3 find your course. Search through Garmin's 27000 programmed course layouts to find the layout of your course. That is a pretty extensive memory for such a small device. if your local course is not in the database don't worry it probably will be soon Garmin is constantly updating courses and adding new ones that are downloadable for free. Step 4 get the yardage and choose your weapon accordingly. You will not only save time but you will save embarrassment of smashing your 5 iron 50 yards past the hole or burying your shot in the bunker 20 yards shy of the hole. Step 5 have fun while learning. Instead of beating yourself off, i mean up, when you hit a bad shot check the yardage and figure out if you used the right club. You can now compare and contrast which holes your screwing up on by over hitting or under hitting. Is it tough? The Garmin S3 is designed to be an everyday watch not just for golfing. It's waterproof so go ahead and reach into that water hazard to get your ball but be warned it's not gator proof. Are there extra features? The S3 has an odometer to track how many steps you have taken in a day. 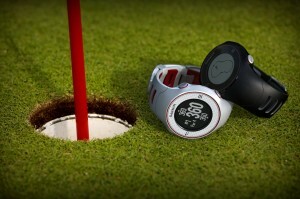 There is a golf round timer which can track the amount of time it took you to play a round so you can finally realize why I'm driving the ball over your head when your walking back and forth wondering which club to use. "Your 180 yards out, I would just use my 9 iron one handed." They also have a feature called Green View that shows the actual layout of the green, you can use the device's touchscreen to place the pin wherever it may be on that particular day. Very nice how much? The price for the S3 Approach GPS watch is set at $345 by Garmin and is available for pre-order now. Click Buy below to get yours. Are there any alternatives? The closest alternative to the S3 is its predecessor the S1. The S1 is still a great product although it has no touchscreen capabilities, manual pin positioning, or scorecard features. It is however over $100 less than the S3 at around $201.95 (at the time of writing). Click here to buy the Garmin Approach S1 Waterproof Golf GPS Watch . Good job right here. I really enjoyed what you had to say. Keep heading because you absolutely bring a new voice to this topic. Not many people would say what youve said and still make it interesting. Nicely, at least Im interested. Cant wait to see extra of this from you.